← Why Do the Biggest Companies Keep Getting Bigger? The JPL Open Source Rover is an open source, build it yourself, scaled down version of the 6 wheel rover design that JPL uses to explore the surface of Mars. The Open Source Rover is designed almost entirely out of consumer off the shelf (COTS) parts. This project is intended to be a teaching and learning experience for those who want to get involved in mechanical engineering, software, electronics, or robotics. 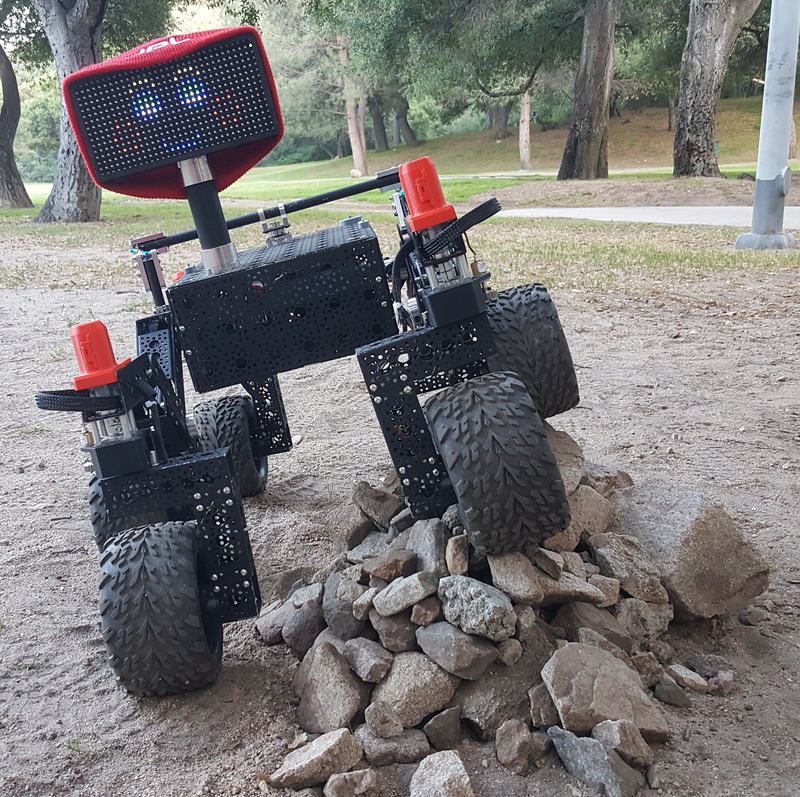 We chose a Raspberry Pi to be the “brain” of this rover for its versatility, accessibility, simplicity, and ability to add and upgrade your own modifications. Any method with which you can communicate with a Raspberry Pi (bluetooth, WiFi, USB devices, etc) can be interfaced into the control system of the robot.